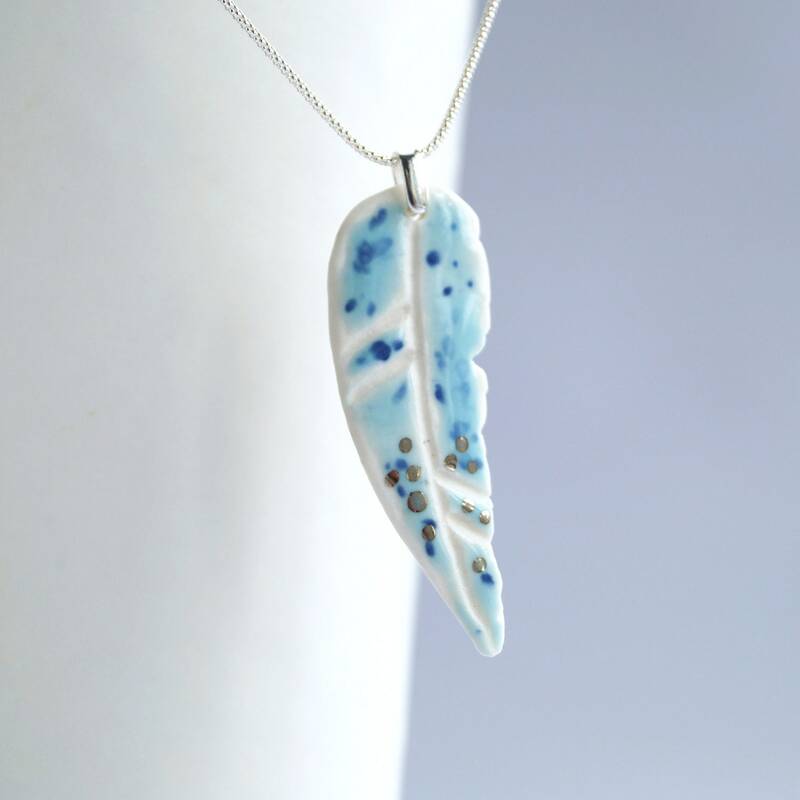 This pretty porcelain necklace has a speckle glazed feather pendant hanging on a light 925 sterling silver popcorn chain. 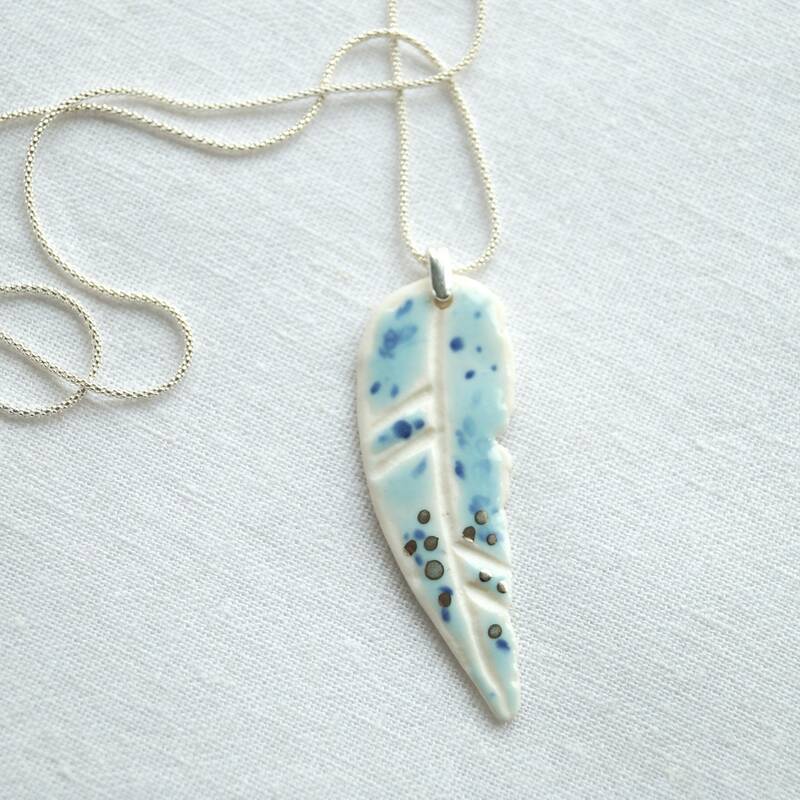 Ceramic feather hand formed in porcelain clay. 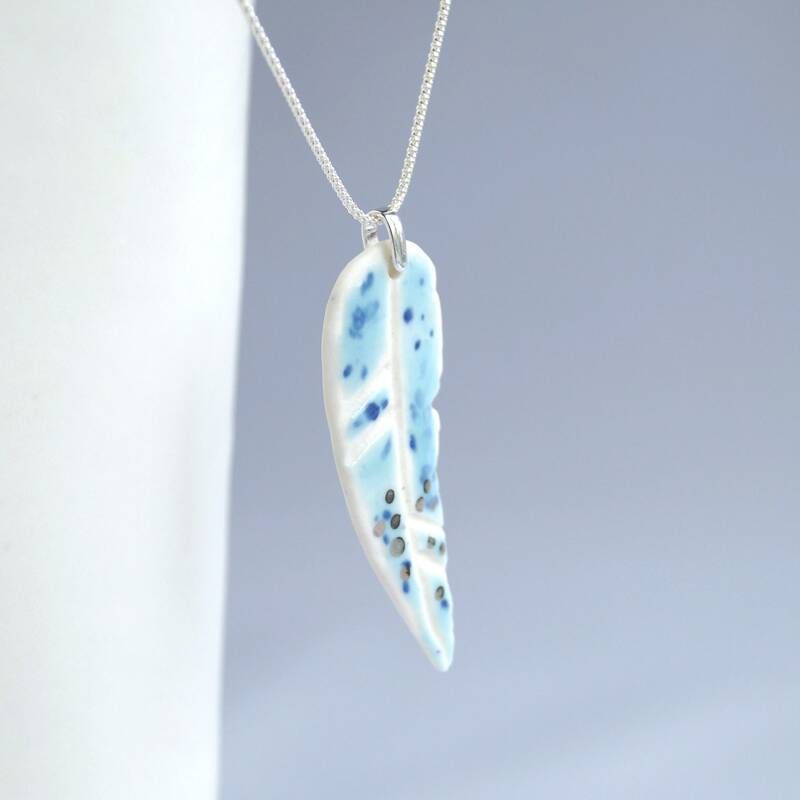 Shiny speckle blue glaze and shiny dots of platinum lustre. Fired twice in my kilns. 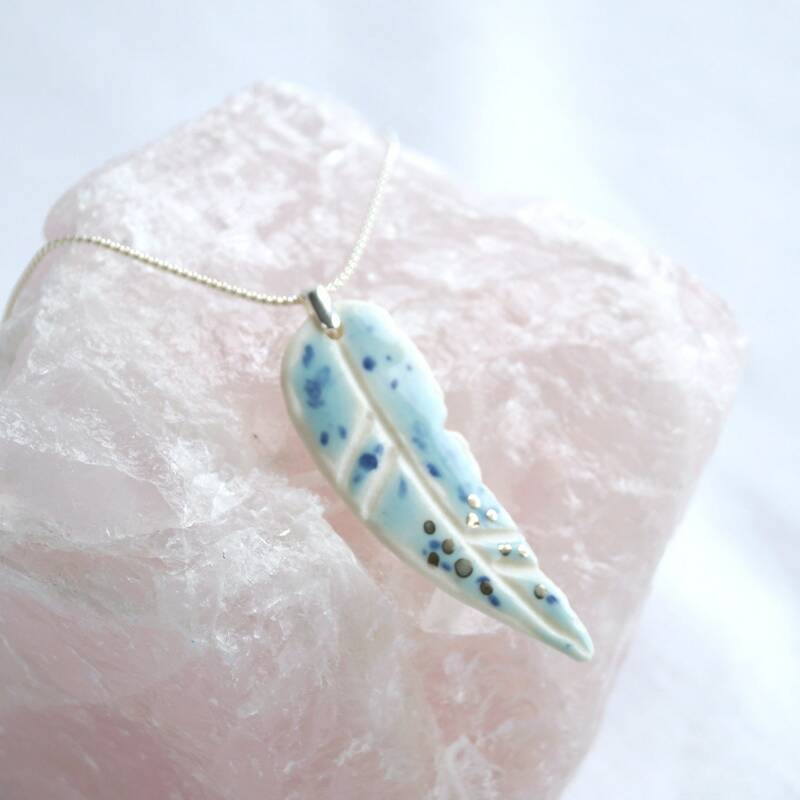 Feather 52 mm x 18 mm approx. 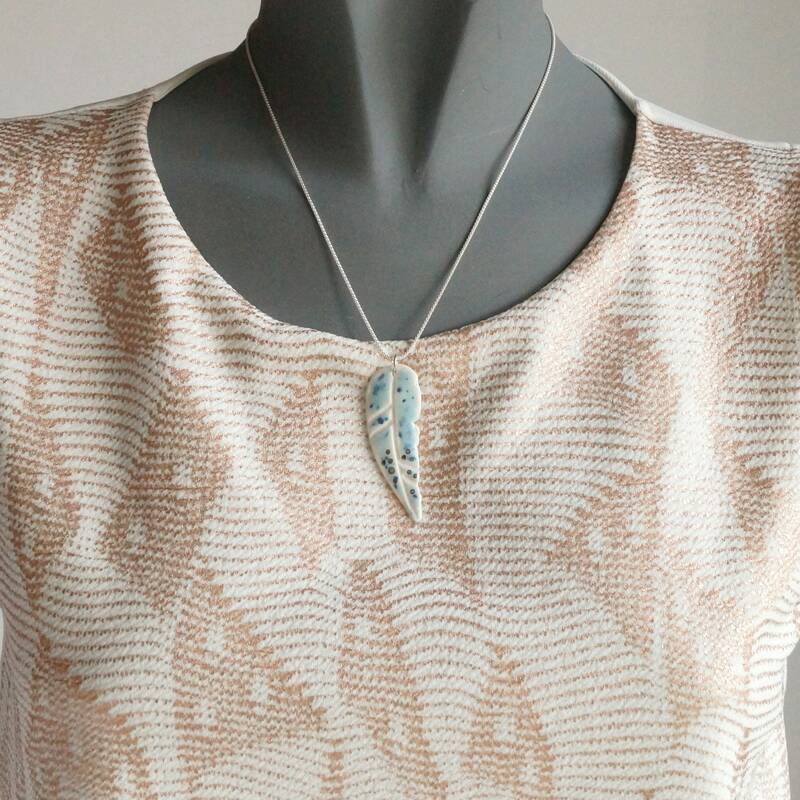 925 sterling silver popcorn chain* 1.2 mm x 45 cm (18 inches) long. 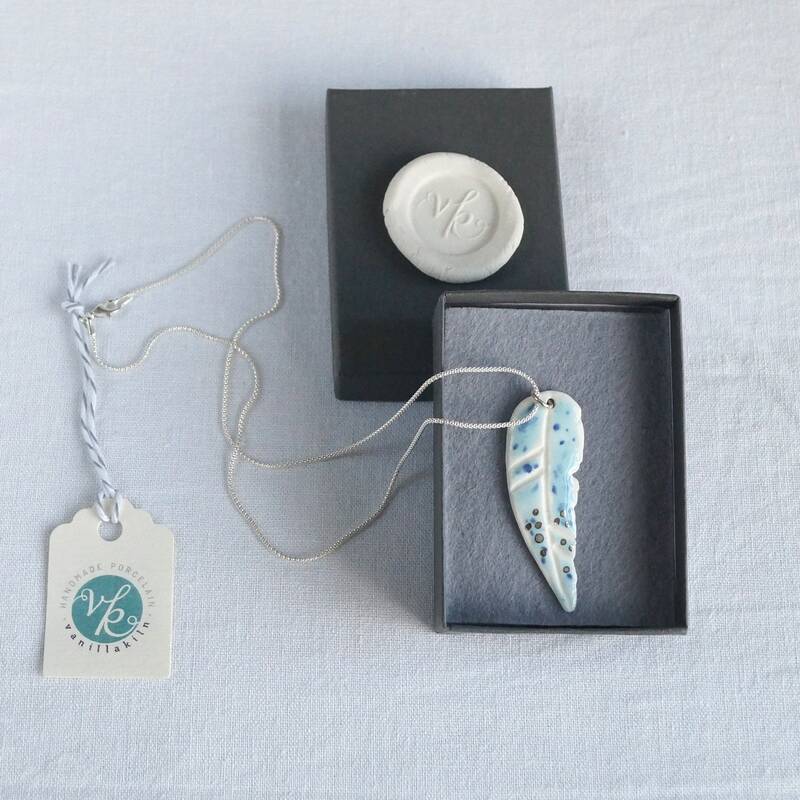 Supplied in attractive VanillaKiln gift box.